Early this morning Fr. Phillips came to celebrate Mass in our house chapel, bringing us the shocking news that Our Holy Father has announced his resignation. One can feel the gamut of emotions that comes with an unexpected piece of news like this. And yet, as Father Phillips reminds us in his homily, we can continue to place our trust in God, Who will never fail to love, guide and protect His Church. We unite our prayers with yours, asking God to bless, strengthen and comfort our beloved Holy Father, and to prepare the man Our Lord has chosen to succeed him. Click the link below to listen to Fr. Phillips’ brief homily from this morning. This entry was posted in Pope Benedict and tagged Fr. 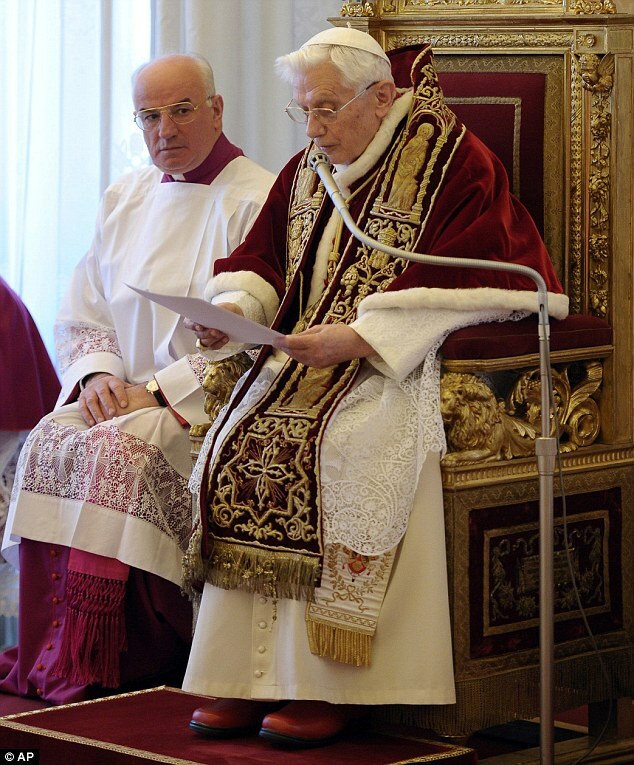 Christopher Phillips, homily, Pope Benedict XVI, resignation by texasnuns. Bookmark the permalink. I was very sad and spent a good amount of time today trying to wrap my mind around it…but I trust in God.